If laboring in the kitchen all day doesn’t sound like your idea of a holiday, leave it to the professionals to prepare your Thanksgiving dinner. For a traditional feast of turkey and all the trimmings, visit one of GAYOT’s Top Thanksgiving Restaurants in Los Angeles, presented in alphabetical order. And best of all? No dishes to wash. But you can also pick up prepared turkey or traditional sides (or both, in some cases) at these Top Thanksgiving Take-out Restaurants in Los Angeles. Contact each restaurant for details. 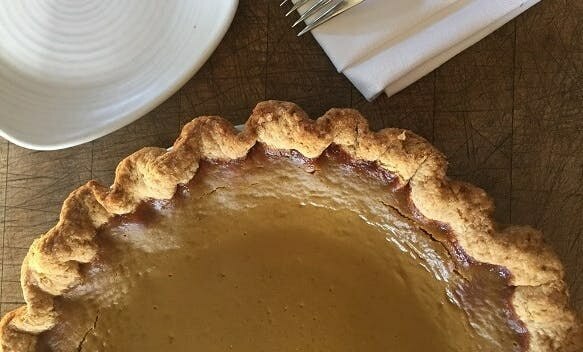 After savoring Akasha’s herb-roasted turkey, scallops or herb-roasted mushrooms (for vegans), guests can load up their plates at the “pie buffet,” laden with old-fashioned pumpkin pie, chocolate-bourbon banana cream pie and more. 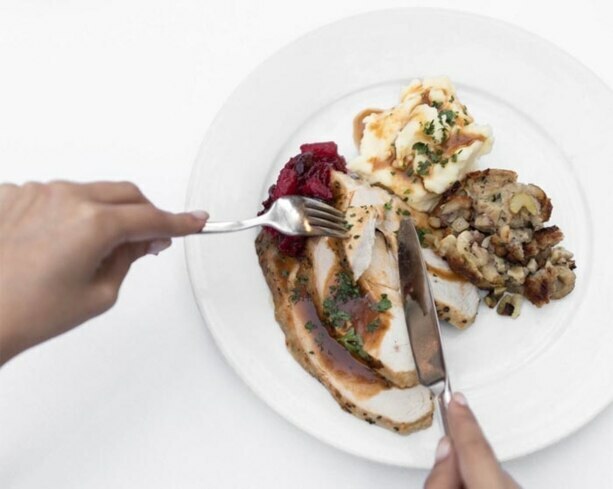 The Bazaar by José Andrés at SLS Hotel Beverly Hills will offer “family-style” roasted organic turkey and accompaniments like cranberry sauce, giblet stuffing and mashed sweet potatoes for its prix-fixe dinner on Thanksgiving Day. Pumpkin pie and pecan ice cream will be among the desserts. Cost is $100 per adult and $55 per child. 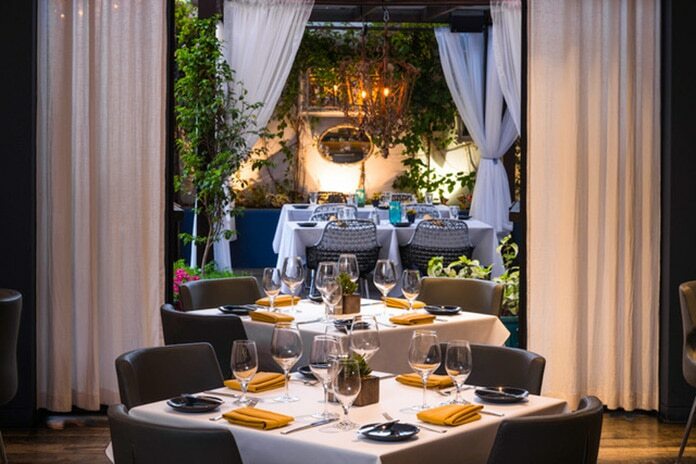 Hollywood, CA Beauty & Essex will celebrate Thanksgiving with a holiday dinner menu created by chef Chris Santos. Guests may choose from options such as Mary’s free-range turkey and giblet gravy ($28), chicken and apple herbed stuffing ($10), and a French apple tart with salted caramel ice cream ($14). Beverly Hills, CA On Thanksgiving Day, dine family-style at The Peninsula Beverly Hills’ The Belvedere ($142 per person; $65 for children 12 years old and under). Start with butternut squash risotto, then indulge in roasted free-range turkey with sage stuffing and Pinot Noir cranberry sauce. Capping off the meal will be an array of holiday desserts. RESERVE NOW! 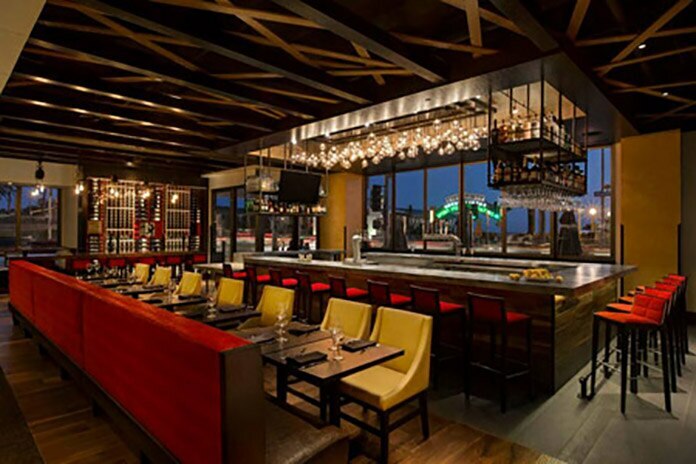 Bourbon Steak, Michael Mina’s steakhouse at The Americana at Brand in Glendale, will celebrate with a three-course prix-fixe Thanksgiving feast ($85 per person). Among the options are heritage squash soup, Michael Mina’s lobster pot pie, roasted turkey and pumpkin pie bar. 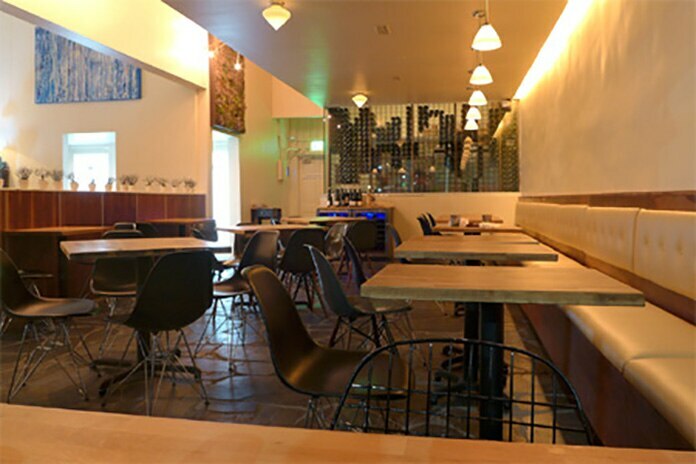 Dig into a traditional Thanksgiving dinner with sliced turkey breast and pumpkin mousse at downtown LA’s Café Pinot. 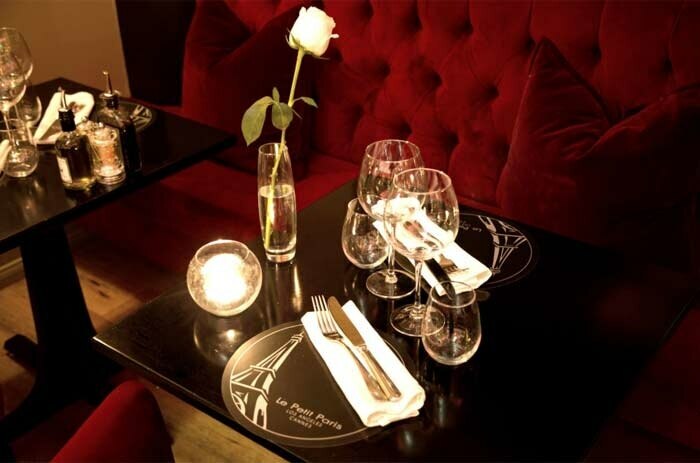 The three-course menu costs $70 per person; the four-course menu is $90 per person; and a children’s menu is $29. Rancho Palos Verdes, CA Catalina Kitchen offers New American fare at Terranea Resort in Rancho Palos Verdes. Dine buffet-style on Thanksgiving Day, with carving stations turning out molasses baked turkey, slow roasted prime rib and more. Pair up your choice with side dishes ranging from scalloped potatoes to honey mustard Brussels sprouts. Among the desserts will be made-to-order crêpes and pecan pie. Adults $115; kids ages 5-10 $47. RESERVE NOW! 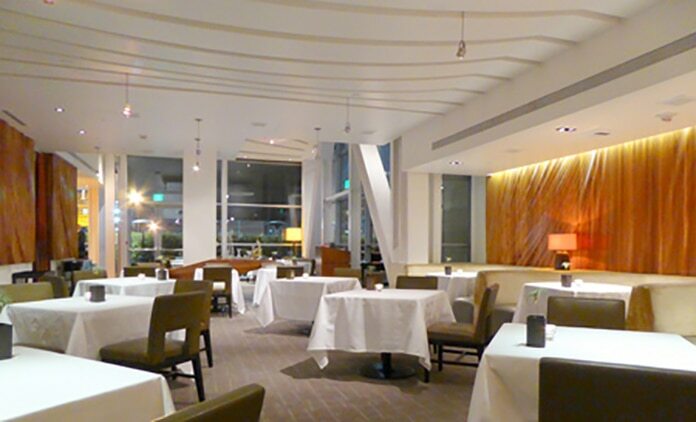 West Hollywood, CA Sofitel Los Angeles at Beverly Hills will offer a Thanksgiving menu ($65 per person; $30 for children 12 and under) highlighting various dishes from its eatery, Cattle & Claw. Guests can feast on maple-cured roast turkey, lobster mac and cheese, short ribs pappardelle, apple-walnut stuffing, and pumpkin and pecan pies. RESERVE NOW! 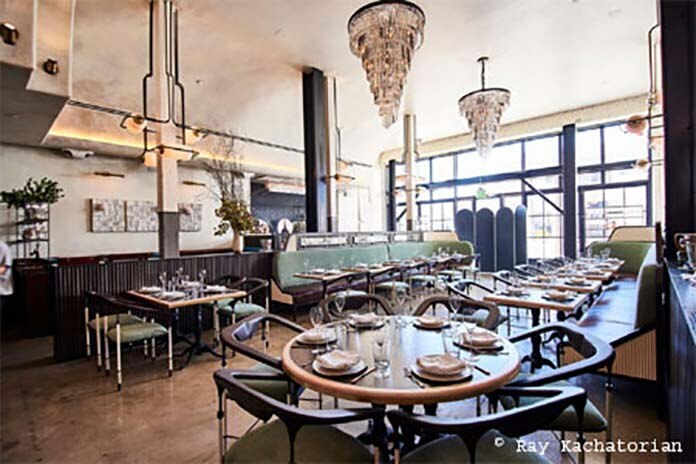 Venice, CA Charcoal Venice will offer a Thanksgiving dinner ($69 per guest) that will include dishes such as smoked turkey with wild mushroom stuffing and braised collard greens. 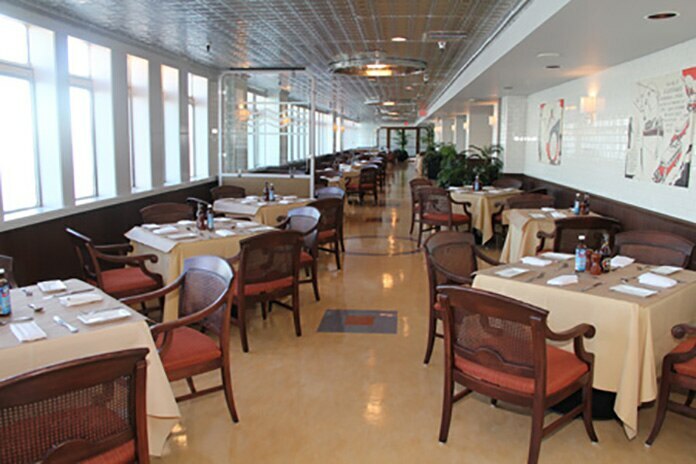 Long Beach, CA On Thanksgiving Day, dine at Chelsea Chowder House & Bar amid the Art Deco décor of The Queen Mary. 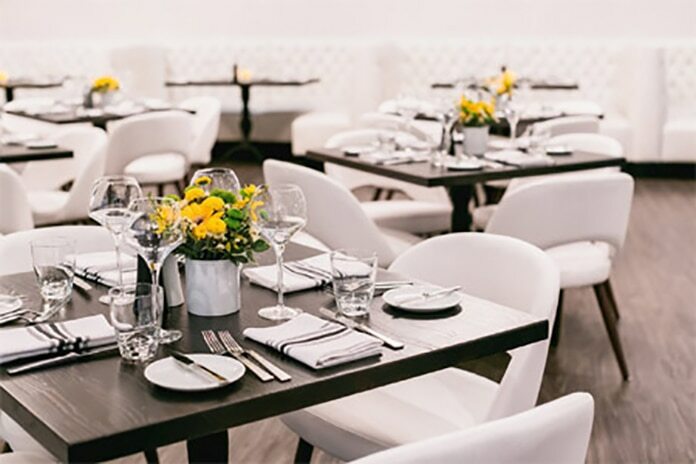 In addition to offering its regular menu, the restaurant will serve a four-course prix-fixe holiday meal with a choice of signature chowders and a roasted turkey dinner with apple pancetta stuffing and candied yams, among other accompaniments ($49 per person). RESERVE NOW! 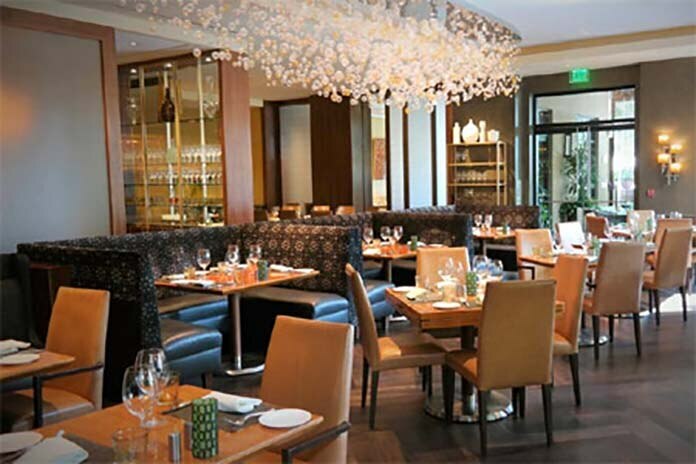 Beverly Blvd./Third St., Los Angeles, CA Culina Modern Italian at Four Seasons Hotel Los Angeles at Beverly Hills will present a buffet-style brunch on Thanksgiving Day ($135 per adult; $69 children ages 5-12). Various food stations will turn out temptations ranging from Belgian waffles to cinnamon and honey-glazed ham. Carved roasted turkey with accompaniments and an array of desserts will also be among the holiday offerings. RESERVE NOW! Santa Monica, CA On Thanksgiving Day, Del Frisco’s Grille in Santa Monica will offer roasted turkey with mashed potatoes, brown gravy and cranberry sauce. RESERVE NOW! 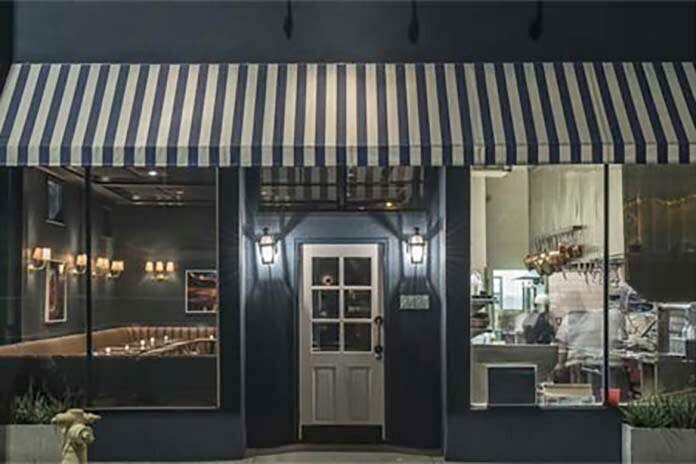 Marina del Rey, CA Doma Kitchen is a charming bistro in Manhattan Beach. Among the Thanksgiving Day dinner menu temptations is a traditional plate comprising oven-roasted turkey, French green beans, celery and apple bread stuffing, sweet mashed potatoes, cranberry and pear relish, gravy and dinner roll ($26.95). 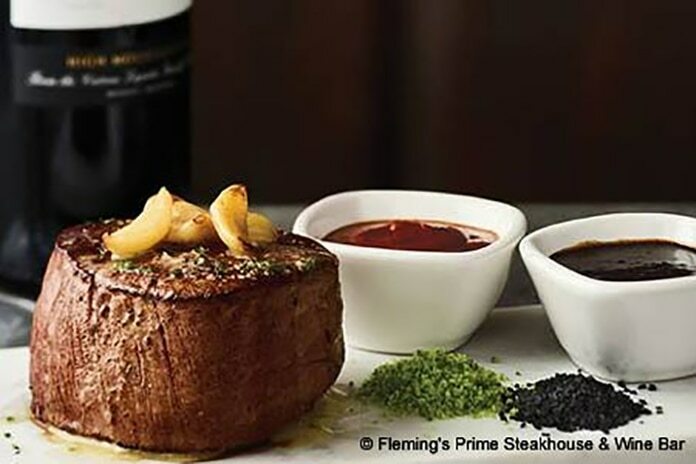 El Segundo, CA Fleming’s Prime Steakhouse & Wine Bar in El Segundo will offer a three-course Thanksgiving meal ($49) that will include choices such as mixed herb-roasted turkey breast, and pumpkin cheesecake with gingerbread crust. The menu for children 12 and under is $19. RESERVE NOW! 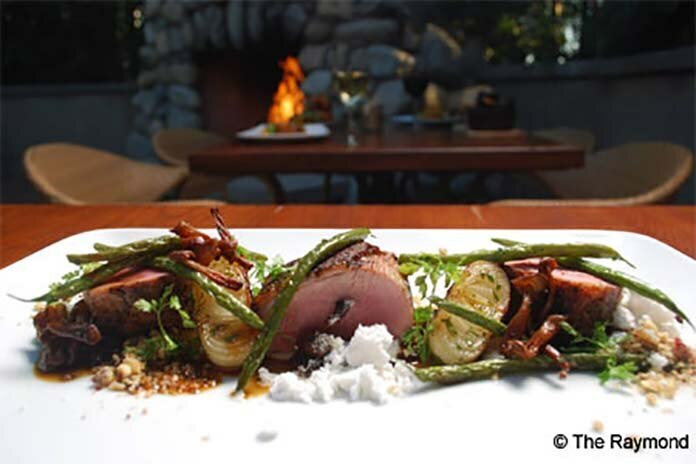 Hollywood, Los Angeles, CA From chef Curtis Stone and brother Luke Stone, Gwen is a carnivore’s paradise. Josper-roasted crown turkey and braised leg with turkey gravy, and a side of duck fat potatoes are only a couple of the indulgences that await on the special Thanksgiving Day menu ($85 per person). RESERVE NOW! 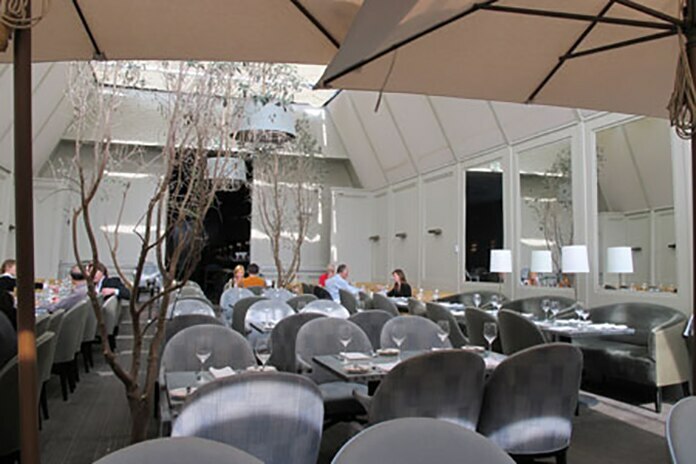 Larchmont, Los Angeles, CA This lovely mid-century-modern-meets-Scandinavia styled restaurant will offer a family-style dinner on Thanksgiving Day ($60 per person). RESERVE NOW! 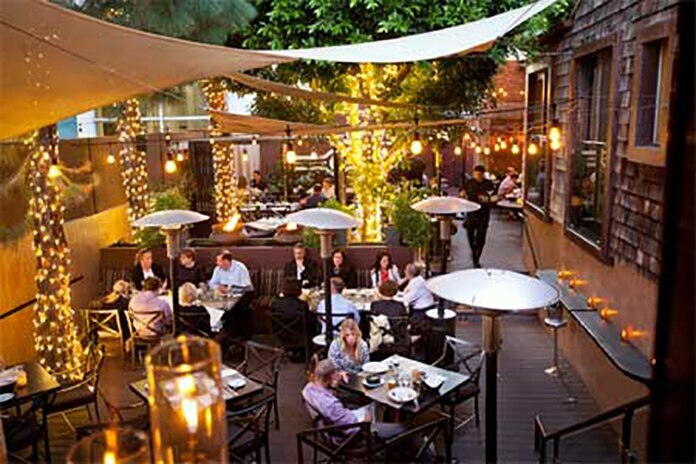 Le Petit Paris in downtown Los Angeles will offer a prix-fixe menu for Thanksgiving ($55 per person). 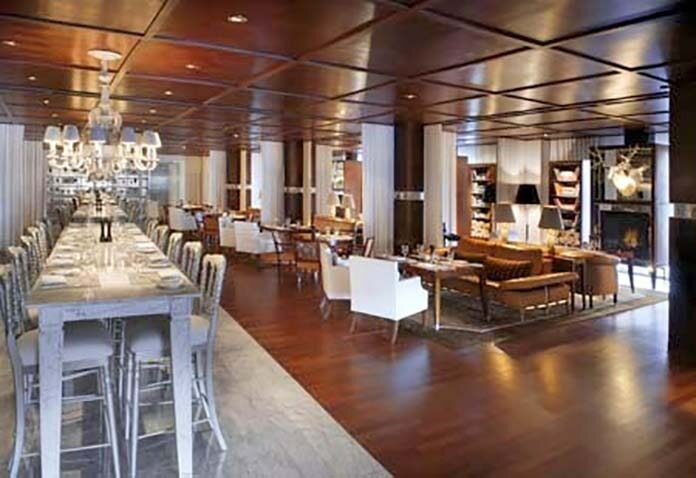 Guests will choose from multiple appetizers and desserts as well as entrées, which include a turkey and stuffing dish. Santa Monica, CA Pancetta-wrapped diver sea scallop and oven-roasted turkey are among the choices on the Thanksgiving Day three-course dinner menu ($74 per adult; $34 per child 10 and under) at Lunetta in Santa Monica. 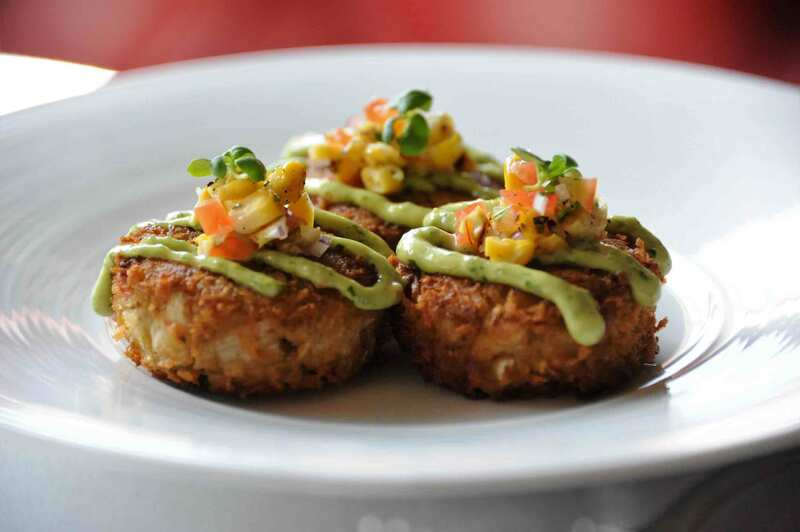 Mari Los Angeles will celebrate the Thanksgiving holiday with a three-course prix-fixe dinner. Choose from dishes like kabocha squash soup, slow roasted turkey with cranberry sauce and gravy, and a pumpkin tart. Cost is $55 for adults (children’s menu available upon request). 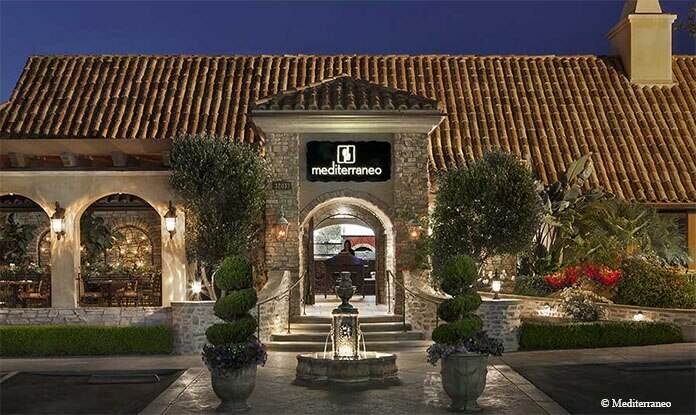 The dining room of Westlake Village Inn’s Mediterraneo is a handsome, comfortable space with a large fireplace and lakeside views. On Thanksgiving, guests can partake in a three-course menu composed of classics like autumn squash soup, Mary’s free-range turkey and pumpkin pie ($70 per person). 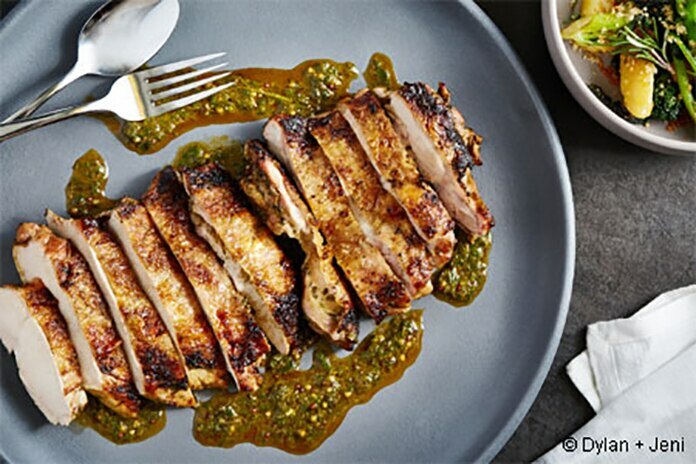 Downtown, Los Angeles, CA On Thanksgiving Day, diners at Patina at Walt Disney Concert Hall in DTLA may enjoy three courses ($70) or six courses ($100). Holiday selections will include a roasted turkey dinner and dark chocolate and brioche bread pudding. RESERVE NOW! 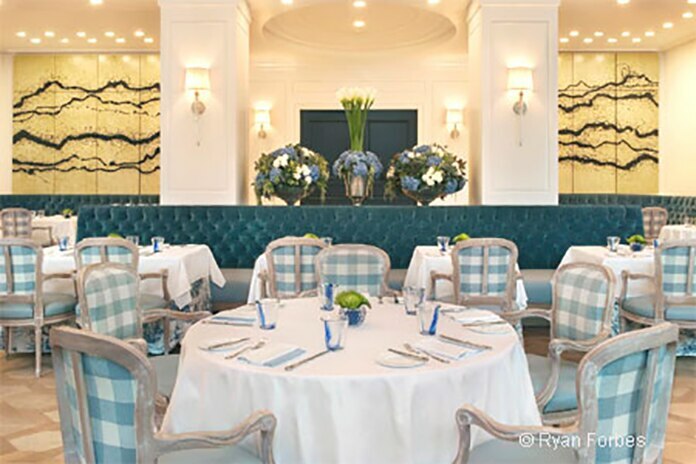 Pasadena, CA The Raymond in Pasadena will offer a three-course family-style Thanksgiving dinner ($79 per person). The menu will include roasted organic free-range turkey breast and gravy, and apple pie with salted caramel ice cream. RESERVE NOW! 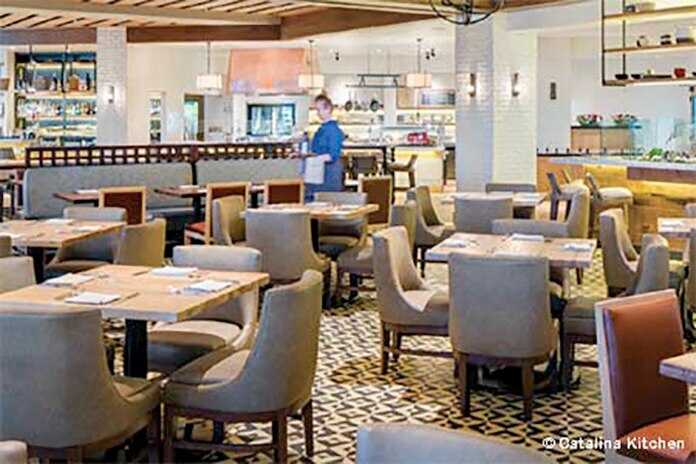 Woodland Hills, CA Roy’s in Woodland Hills will offer a three-course Thanksgiving dinner ($39.95 per guest) that will include pan-roasted teriyaki glazed turkey, and maple brown sugar pumpkin tart. RESERVE NOW! 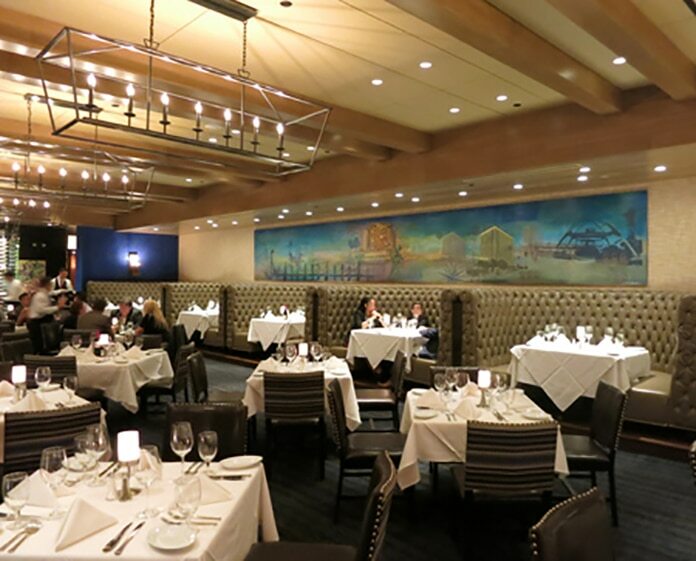 Marina del Rey, CA Ruth’s Chris Steak House in Marina del Rey will offer a three-course Thanksgiving dinner from $39.95. Choices will include sweet potato casserole and oven-roasted turkey. RESERVE NOW! 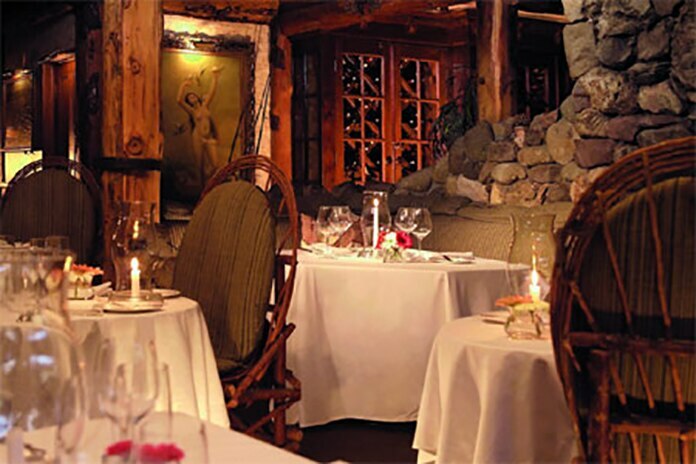 Celebrate Thanksgiving amid the rustic, hunting lodge setting of Saddle Peak Lodge in Calabasas. 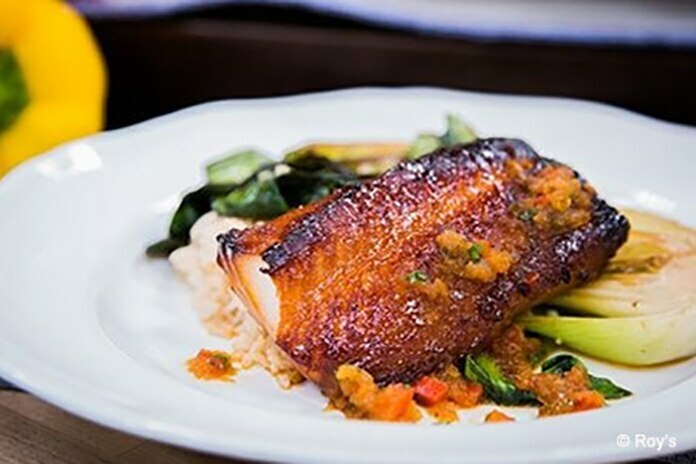 Roasted turkey, sea bass and seared elk tenderloin are among the main course choices at the four-course prix-fixe feast ($105 per person); two-course meal $65 for children 12 and under. 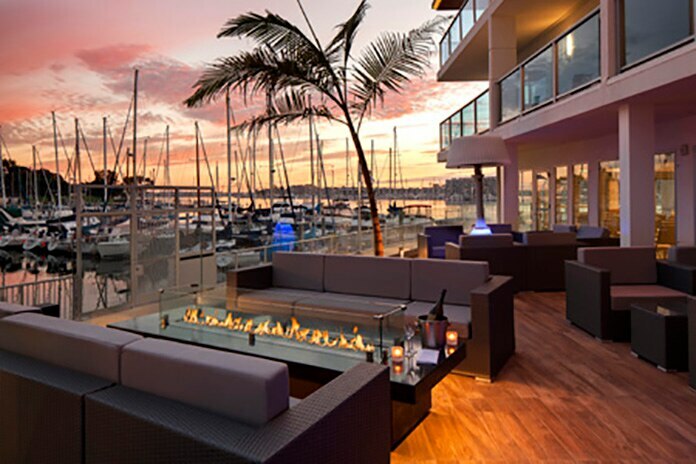 Marina del Rey, CA SALT Restaurant & Bar at Marina del Rey Hotel will offer Thanksgiving Day guests a menu with dishes ranging from traditional clam chowder ($14) to Maine lobster pasta ($44), and Mary’s organic turkey with sweet potato and roasted Brussels sprouts ($34). 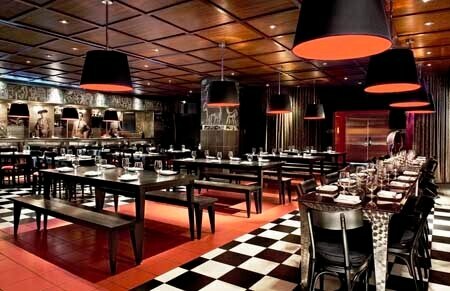 Breakfast diners will choose from selections such as prime steak and eggs ($26) and pain de mie french toast ($16). RESERVE NOW! 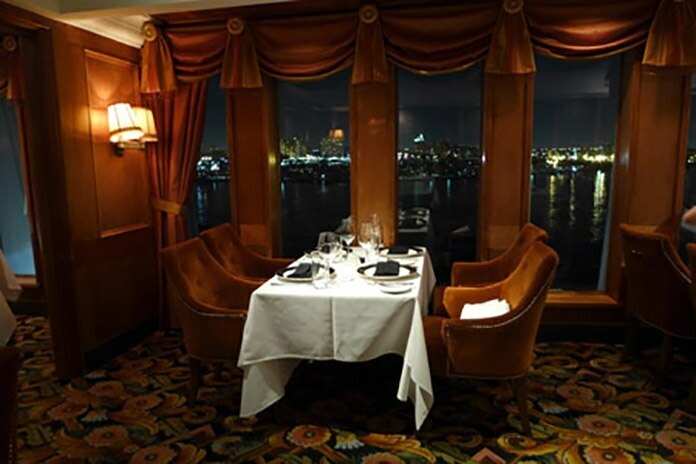 Long Beach, CA Located aboard the historic Queen Mary, moored in Long Beach Harbor, Sir Winston’s is one of the more formal dining venues in the South Bay. 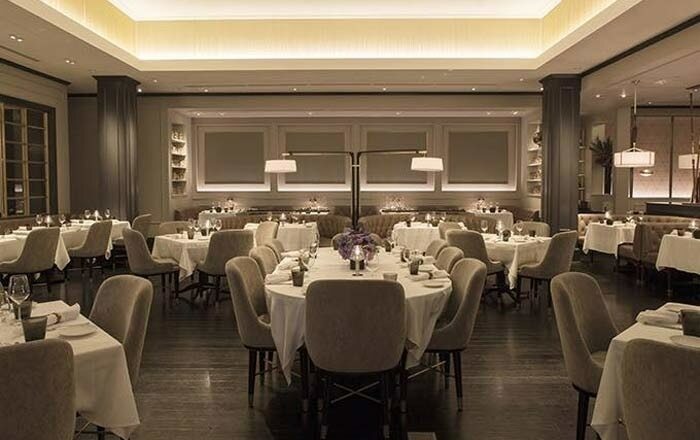 Thanksgiving Day diners will encounter a special five-course holiday menu ($74 per person). Look for dishes such as pumpkin bisque with crème fraîche; and roasted turkey, sausage and sage apple stuffing, giblet gravy and more. RESERVE NOW! 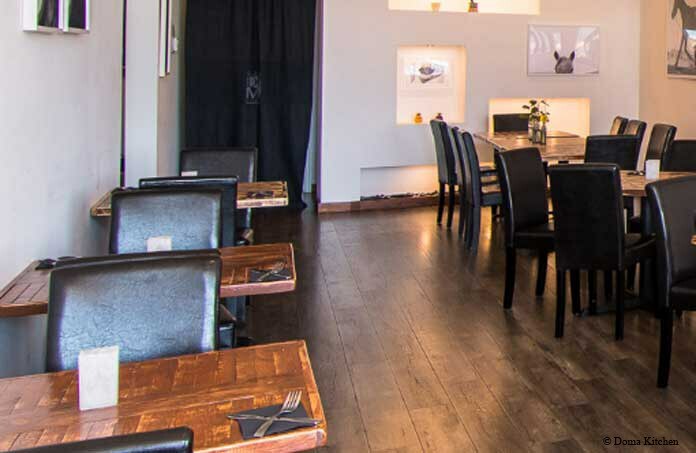 Tavern in Brentwood presents a Thanksgiving meal of herb-roasted organic turkey with traditional sides for $95 per adult, $45 for children 10 and under (no charge for children 4 and under). Not a meat eater? The “vegan Thanksgiving extravaganza” should satisfy with sweet potatoes, Brussels sprouts, fingerling potatoes, Suzanne Goin’s stuffing and wild mushroom persillade. Beverly Center Area, Los Angeles, CA Celebrate the Thanksgiving holiday by dining at Trés by José Andrés at SLS Hotel Beverly Hills. Enjoy slow-roasted organic turkey, Spanish-style stuffing and mini desserts at the brunch buffet for $85 per person and $45 for children (11:30 a.m.-3:45 p.m.). Or indulge in a three-course dinner with dishes such as butternut squash soup and organic turkey for $75 (5 p.m.-9:45 p.m.). RESERVE NOW! Santa Monica, CA Wilshire Restaurant will offer a family-style Thanksgiving dinner ($65 per guest) that will include dishes like butternut squash soup and roast turkey. RESERVE NOW!